Welcome to the beginning of something new. An event and market combined to create an amazing customer experience. 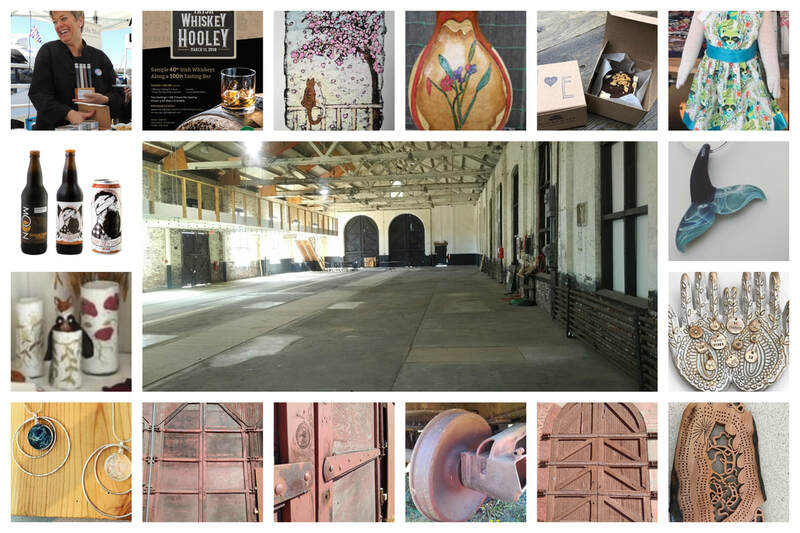 Located in the Historic and iconic E & N Roundhouse building in Esquimalt. This will be the 1st market in an area that is slated to become a Victoria Market Place destination. The Dates are November 30, December 1st and 2nd. A nomadic curated event that finds unique locations on Vancouver Island to showcase some of BC's finest Makers. Makers of anything from food, alcohol, fine art, clothing and so much more. The creative mind is not limited to what is, but what could be. Nomads know that a home is where the family is. The Island has a vast array of talent always looking for a home. This Winter season that home is the Roundhouse. Food or foodies that is the question ? To eat or not to eat is not the question to ask at this event. We will have sweets things like chocolates and bakeries. As an added bonus some distilleries, breweries and food trucks. Each artist at the show will donate an item and with over 60 vendors that will be a lot of really great gifts. We will create 6 gift baskets and give two away each day. You won't have to be there to win. When you arrive fill out a ballot, make your way to the draw box as you take in all the talent the show has to offer. It is no secret that our Island makes some fine craft beers, wine and spirits. We will have a few at this show. Sample some wine, beer and whisky all made in BC. 4 pm - 8 pm Friday, November 30th. 8.00 for a weekend pass. get a weekend pass by paying 5.00 and bring some food for the food drive. ​The Nomad Holiday Market is putting on a an event at the Roundhouse. It has an empty railcar waiting to be filled with food. This is no a small task and will need the help of Volunteers that may have been touched by the visuals of what has gone on this year. Maybe wanting to help but not knowing how to. Victoria is a supportive and loving community that will volunteer their time if the cause is just. 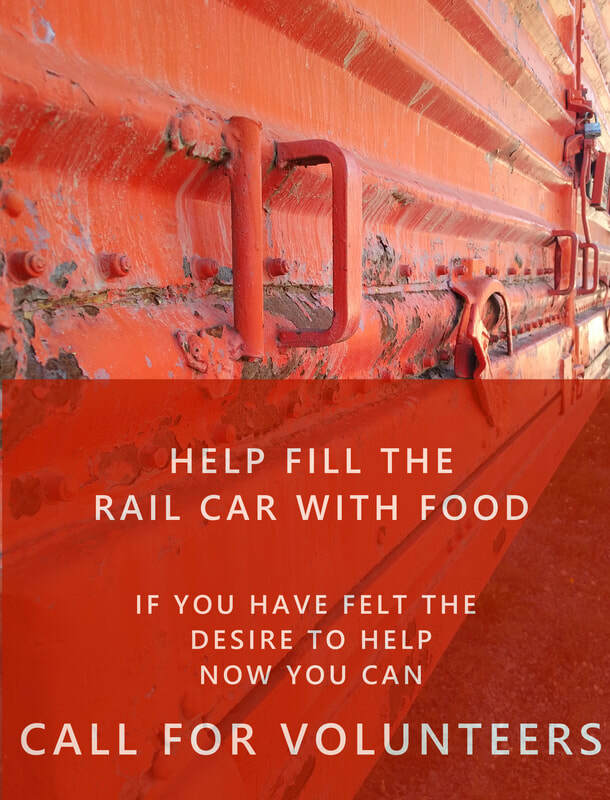 This is a call for Volunteers to help fill a rail car full of non-perishable food for the people who need it.